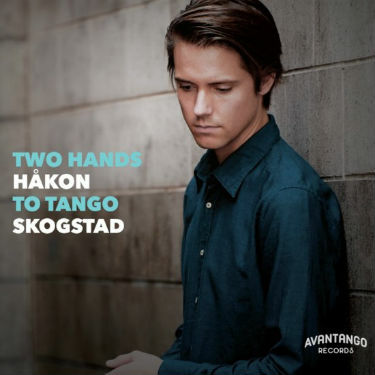 Two Hands to Tango is a full length album from classically trained, professional pianist, Hakon Skogstad. In terms of recorded piano instrumental performances, this album is about as good as it gets. This guy has studied piano all around the world at some of the best institutions and received private lessons from high profile teachers in a variety of disciplines and styles. What strikes me about Two Hands to Tango is how lively and vibrant it is considering the recordings are just piano and nothing else. I think people underestimate just how difficult it is to record songs with one solitary instrument and still manage to create a sound which mesmerizes the listener. Yet, Hakon Skogstad manages to do just that. He effortlessly maneuvers the keys and seems to have a built in calculator-like intuition, a complete mastery of the mathematics of the pacing in his songs. He alternates between tepid and brooding moods to playfully quick hopscotch without missing a beat. The tracks feature a level of complexity and sophistication that’s instantly appreciated by anyone whose ever attempted to jam on the piano. My favorite song on this album is Canaro en París, which is bright and has an excitable form.